When a shipper posts a load to move from one place to another, it sets in motion a chain of events that is necessary to make that final delivery. Along the way, there are many processes involved, none more so than the tendering process. In years past, a series of phone calls was required to move a load. That changed over the years with technology, first the fax and then email, but even today, load tendering still requires a manual process to some extent. To truly improve the process and take cost out of the equation, there is a need for greater data sharing and visibility into the process. That is becoming more evident to those involved in the process thanks to the growing complexity of supply chains and smaller and tighter delivery windows. 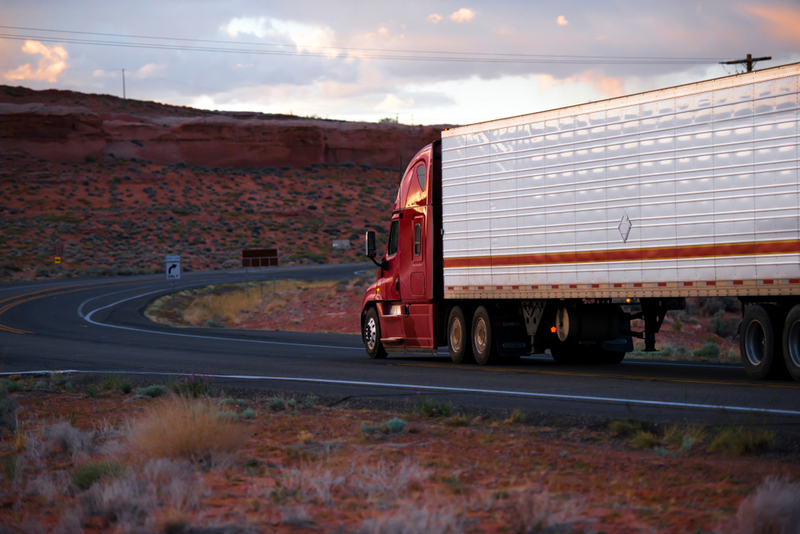 “A few years ago, you had shippers with fairly static supply chains and they had a [reliable] carrier base,” explains Brian Hodgson, vice president of transportation strategy for Descartes. Each shipper might have a list of their top-10 carriers and contact them by phone or email. EDI improved the communication process, but it is still lacking. “Even with that, a lot of it is still email and phone calls,” he adds. As supply chains have grown in complexity due to shipper diversification and e-commerce, shippers now need to be more adaptable. That has made the load tendering process more intricate. To meet these changes going forward, the process is likely to see some of its most significant change ever. Hodgson says shippers will need to better connect into carrier networks and do so through brokers and third-party logistics (3PLs) providers, so they can see where capacity is and how to tap into it. Hodgson says that going forward, brokers may look to pool their capacity into a group that provides shippers more visibility into available trucks – so-called freight or capacity matching solutions. Descartes has just launched a new product that fits into this realm. Descartes MacroPoint Capacity Matching eliminates the manual process for brokers/shippers in finding available capacity. The solution utilizes machine learning to help find available truck capacity both within a broker’s or shipper’s network and outside that network. It also helps identify where the truck wants to go next, giving an idea on where trucks may be available. “We strongly believe capacity matching is a key to solving the capacity problem,” Hodgson says. Hodgson also believes IoT solutions will help provide more data visibility into the process. Does the load need temperature monitoring, for instance, and did it meet those requirements? Robert Brothers, manager of product development for McLeod Software, says that more data visibility and shared data is being driven by shippers. “To me, what looks like what is happening is we are getting some data aggregators into the marketplace … trying to work with shippers to work out tenders that are not EDI-based,” he says. “They may build an interface between the shipper and the TMS. This data aggregator role is being played by companies such as Project44 and others, and while it is still a small portion of the overall market, it is a growing segment. Brothers points out that larger shippers especially are behind this push, noting General Motors and Anheuser-Busch among those working on projects. “If you start getting large shippers, others will follow,” he says. Hodgson says the use of data sharing will need to grow to help open up additional opportunities. Descartes works extremely hard to ensure the data a carrier or broker/shipper shares in its system is protected, leaving the data integration process as an “opt-in” option. “Your information is protected and you can opt-in and we believe by opting in you get the benefits,” Hodgson notes. Traditional EDI, though, is not going away, Brothers says, but it may change, requiring “the people in the middle [to] change EDI into a service where you have to go through” a system that pulls disparate technologies together. Blockchain is also likely to impact the load tendering process, helping create visibility into the steps and traceability component of shipments. “The load tendering process tends to be a spoke that wheel,” Hodgson notes. As the industry moves in general to more open transparency data solutions, the load tendering process is also likely to open up. The MacroPoint Capacity Matching solution is taking advantage of some of the early steps of that, but transparency is likely to more important as brokers and shippers leverage growing networks outside traditional top-10 carrier list most currently hold. “Coupled with brokers who are leveraging freight matching” it provides more access to carriers for shippers, Hodgson says. The increased transparency should also help brokers/shippers make better decisions in the load tendering process as they become aware of retailers, for instance, that have higher detention rates or more predictive weather and traffic data that improves the estimated time of arrival. “Overall, the granularity of data provides [more visibility],” Hodgson says, noting that artificial intelligence will aid in that visibility. Brothers says that the added visibility can speed the entire process. “Today, [shippers] don’t know if they have capacity,” he says. “Today, they tender the shipment and wait until [the carrier] tells them if they have capacity. If they knew they didn’t have capacity, they could move on” to finding capacity quicker. The main issue surrounding this data future remains the willingness of participants to share the data. If there is more effective data sharing, then the load tendering process may truly become beneficial to all parties involved. What’s the best way to recruit a new driver?